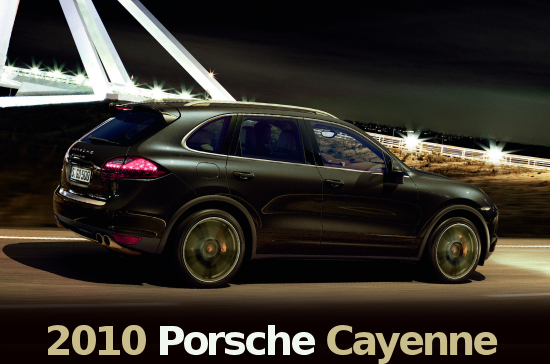 With the second generation of the Cayenne - which celebrates its debut on the the Geneva Auto Salon 2010 - Porsche present a car which looks like it should have looked like right from the start! Now it has got lots of muscles in its sheets. So it doesn't need large apertures to suggest performance. It's rather muscular than it is aggressive, pleasingly. 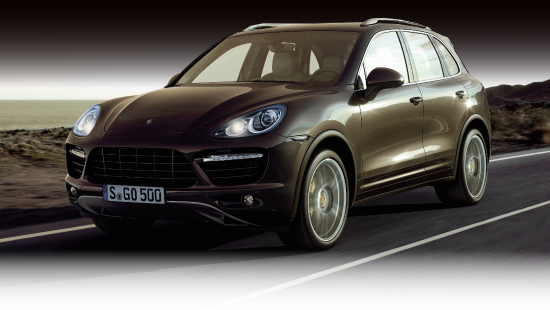 Thus the new Cayenne appears more Porsche-like than the first generation did. This is also a result of some organically-shaped details, which much more reflect the stylistic approaches of typical Porsche cars, such as the iconic 911. The tail lights, for example: They no longer look like that of a delivery truck! Although the monochrome layout wasn't bad. Now they've got two white sections, which seem as if that has only been approved to leave something over to be enhanced with a facelift! 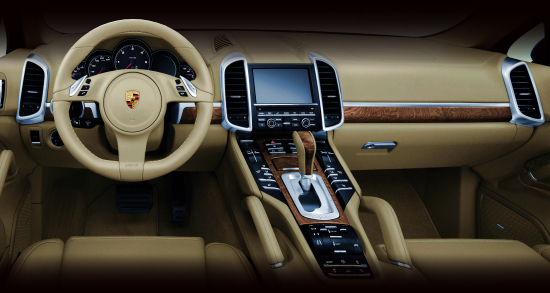 Also the dashboard might be more friendly to the eyes of a Porsche enthusiast. The quality of the used materials appear more premium and many details have been taken from the Panamera - and not of sister model VW Touareg. Although wheelbase and overall length grew by 40 and 48 mm respectively, the new Porsche SUV seems more compact and less heavy. And indeed, it is 180 kg lighter. The weight loss is mainly a result of a more simple and thus lighter all-wheel drive. Together with more efficient engines, the new Cayenne models consume less fuel. Porsche proclaim a minus of up to 23%, compared to the former model. This is the rate for the Cayenne S which now generates 400hp, instead of 385hp. Also the other versions provide more power at less fuel consumption, Porsche says. And there's a hybrid model too. Of course, a thing like that is a must today, especially for an SUV model series. It features a 333hp V6 engine and a 47hp electro motor. So system output is 380hp. Zuffenhausen is pretty proud of the improvements regarding ecological friendliness, but time will tell whether social acceptance of the Cayenne is to be enhanced by more friendly looks and green labels.